When your house is lacking in humidity, it can be noticeable in both the structure of your house and your physical well-being. Wooden furniture can start to warp and split; linens can dry out and tear from the strain of being used for daily; and even wooden support beams that hold up the integrity of the of your house. Physically, your skin can start to dry out and become itchy, eyes lose moisture and become irritated and watery, and you can develop a raw throat from constant clearing to alleviate that raw feeling that comes from breathing dry air. Why Would You Need One or the Other? 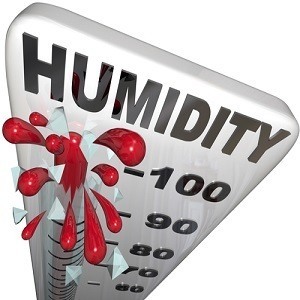 What is Humidity and Why is it Important? With winter fast approaching and cooler temperatures already felt in the air, it is important to maintain the humidity levels in your home because you will be increasing the temperature of your residence with drying heating systems. We have to heat our homes in the winter not only for our physical well-being but to also avoid a dreaded water pipe freezing then exploding all over the place! So, using a humidifier can add well-appreciated moisture in the air and avoid any mishaps either structural in terms of the home or physical in terms of your health. Perhaps you have heard the horror stories of children, elderly, or pets receiving burns from warm mist humidifiers, but cool mist humidifiers can alleviate this concern. Or you could use a device that isn’t mist based at all and instead uses a complex internal operating system to omit water into the air. This is the ultrasonic humidifier. So, what is the difference? Which one is better? Let’s take a look to find out. Humidity is the correct terminology when considered the number of microscopic water particles that are located in the air surrounding you. This air can be either air that is the outside atmosphere at any given time or the air located inside a structure of some sort. The reason humidity is so important for the longevity of the structure of your home and your overall physical well-being is because can improve the conditions of each. Constant throat issues; rawness, scratchiness, etc. The wooden beams that act as the support for your structure; a lack of moisture can dry them out to the point of warping or cracks. An ultrasonic humidifier is a home or office use appliance that increases the number of water particles in the air through an internal operating system that consists of a ceramic diaphragm that vibrates at an ultrasonic frequency. This ceramic diaphragm uses the ultrasonic frequencies to remove water from the holding tank (reservoir) and to then break the water up into tiny droplets. These tiny water droplets are then sent out into the open air by the use of a tiny fan. It is important to note that you cannot purchase the ultrasonic humidifier in a warm mist version and the water droplets are only room temperature at most. The ultrasonic vibrations produce no noise at all. Models that are older than five years can give off a white dust that can irritate respiratory issues and cause further throat irritations than dry air. While special filters to remove this dust have been added to the newer model operating system, this dust can be avoided by using only distilled water in your ultrasonic humidifier. A cool mist humidifier is a household appliance that will send microscopic water droplets into the air by the use of a small internal fan. The water comes from an internal wick filter that absorbs the water from the holding tank or reservoir and allows the fan to blow microscopic droplets off of it and into the atmosphere. The cool mist humidifier is powered by the use of either electricity from an electrical outlet or propane. When in peak operating condition, the amount of electricity used by the cool mist humidifier shouldn’t even register on your monthly utility bill, so if you do notice an increase, check over your device for noticeable defects and contact the provider for warranty repairs if applicable. 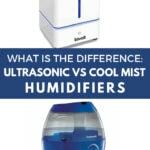 Cool mist humidifiers are available in more models than the warm mist versions’ such as impeller fans, ultrasonic, etc. because the water doesn’t need to be heated. There isn’t a right or wrong choice when it comes to a humidifier because they all achieve the same basic function – they add moisture to the air and control the amount, so they help rather than harm. Make sure you look into each device and how they are controlled so you can pick the option that will suit your needs. Make sure you are aware of themaintenance responsibilities for your device because the first sign of an aging unit or a malfunctioning appliance is a noticeable increase in your light bill. If there are maintenance checks on your device, it is important to complete them in a timely fashion. Double check warranty policies from the makers of the device itself and the store policy from the retailer where you completed the purchase. Winter can be hard enough on the body and soul, so don’t spend it miserable and itchy! Invest in a trusted brand to ensure that you purchase a well-made humidifier that can dampen the air and even help your body fight off dreaded flu symptoms.